This booking contract is between David & Karen MacKenzie, the owners of Stoer Bay Chalets and the person completing this booking form and all members of their party. The contract will be subject to these booking terms and conditions and must be complied with. The party leader must over the age of 18 years at the time of booking. You are responsible for keeping the property, furniture, fittings, equipment and other contents in and on the property in the same state of repair, condition and cleanliness as at the commencement of the let (reasonable wear and tear excepted). You are responsible for reimbursing the owners for the actual costs of any breakage or damage in or to the property along with any additional costs that may result together or at our discretion. There must be no more members in your party than the chalet is designed to accommodate and must be listed on the booking form. All our chalets are non-smoking or vapping. Smoking is not allowed under any circumstances. Please ensure that your dog is kept off the chalet furniture at all times and if necessary is rubbed down before entering the chalet (a towel will be provided).We provide a dog bed, please bring your dog’s own bedding. We ask that your dog is kept under control and is not left unattended in your chalet. All doggy poo must be bagged and binned immediately. 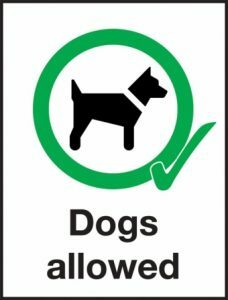 Please be aware that although the chalet grounds are securely fenced, they are surrounded by open crofting land where livestock wander freely, if there is any risk of your dog worrying livestock please keep it on a lead at all times. The chalet owners reserve the right to terminate your stay if you or members of your party are believed to be causing a nuisance to other guests or local residence or are not treating the property with due respect. The use of the accommodation and its associated facilities are entirely at the users risk and no liability can be accepted for death, injury, and loss or damage to users or their belongings including vehicles, motor cycles, boats etc. The owners shall not be liable to you or any other member of your party for any loss or damage to you or your property however caused. Please do not leave your children unsupervised to play in the Lochan in front of the chalets. Though the water along the shore line is very shallow but it does become much deeper. We ask that you park your vehicle on the gravel area and not beside your chalet as the soft sand does not allow much protection for the underground water/sewage pipes and traffic going over them can cause them damage. By making your booking our agreement is a legal contract and the deposit is non –refundable. If the cancellation is after the full payment is paid the final payment will only be reimbursed if we manage to re-let the accommodation. The re-letting price achieved will be returned to you less your 50% deposit. A holiday cancellation protection plan should be taken out to cover forced cancellations. We reserve the right to refuse any booking or to cancel any bookings already made subject to refunding any sums you have paid in full without further liability on our behalf. If for any reason the booked accommodation is not available; liability shall be limited to a full refund of the monies paid to the owners. Alternative accommodation will be offered if available. Every effort has been made to ensure that all advertised amenities are available but no liability can be accepted for any omissions. The final balance of the total cost of your stay is due no later than 4 weeks before the date on which your stay is to commence. Failure to ensure that such payment reaches the owners by that date may result in the cancellation of the stay and the chalet will become available to relet. There must be at least 1 responsible adult (18 years plus ) staying in the accommodation. Parties with only persons of under this age will be refused entry and monies will be non refundable. We above all want you to have a wonderful time at Stoer Bay chalets. If for any reason you have a complaint please let us know as soon as reasonably possible, and in any event before departure, to allow remedial action to be taken. We undertake to repair or replace any faulty equipment with all due diligence. However, no claims will be entertained in respect of equipment which remains faulty beyond our control.